NEW! Here’s how to use the new PinoyInvestor! Sign-up for FREE to get instant and full access to ALL the FREE REPORTS of the Philippines’ top stock brokerage firms below! Registration takes only less than 1 minute! 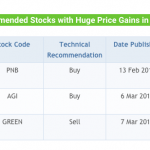 How useful are PinoyInvestor’s stock reports? Check out the results below and see for yourself whether PinoyInvestor is indeed useful in helping you make smart investment decisions! In PinoyInvestor Special Reports, we cover our partner brokers’ expert analysis on various topics that affect the stock market. These may be sector analyses, economic updates, upcoming IPOs, and more! We’ve ranked all the PSEi, Growth, and Speculative stocks that our partner brokers cover according to Potential Profit %, number of Buy reco’s, and more. See them now by upgrading to Premium Access! 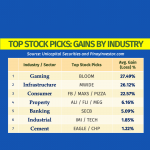 PSEi stocks are ranked here. Large-Cap stocks are ranked here. Mid-Cap stocks in the PSE stocks are ranked here. Small-Cap stocks in the PSE stocks are ranked here. All of the stocks in our coverage are ranked here. See for FREE our partner brokers’ expected movement of the Philippine Stock Exchange index (PSEi) for the coming days! The Market Outlook uses Technical Analysis and may be useful only to short-term traders. Primarily based on Fundamental Analysis, the “Stock in Focus” section shares our partner brokers’ in-depth analyses of a company and explains the rationale for a stock’s Target Price and future prospects. FREE Stock in Focus: SMC (1 Oct 2018) by Regina Capital Dev't Corp. 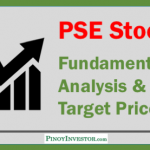 The “Technicals Talk” section summarizes our partner brokers’ technical analysis of select PSE stocks. Technical Analysis relies on trends and price movements and is typically used for short-term trading. FREE Technicals Talk: SECB (4 Apr 2018) by Regina Capital Development Corp.
Know when you’ll be receiving Cash and Stock Dividends! Which companies are distributing cash or stock dividends? Are you entitled to receive dividend income? Find out here in our Dividends Update section! Since becoming a member, I have profited more than P25,000 in realized gains. 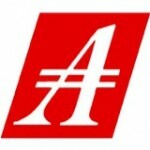 The analysis of your several partner brokers has indeed an advantage over the single analysis from a broker. Also, I have about P40,000 in unrealized/paper gain, so double thanks to you, PinoyInvestor! Thank you, appreciate it very much. Glad to inform you that I have been learning and gaining since I became a Premium Member. You guys are awesome! I love reading your articles and will continue doing so forever (or as long as you are publishing)!! Happy investing! From your Lifelong Member. PinoyInvestor has helped me a lot in choosing what stocks to trade. I've been getting bigger returns lately. Glad I decided to upgrade my subscription. Indeed, it's more fun to invest when having your research! Likewise, I too have profited from your reports. 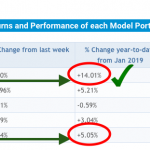 I am now on my 3rd month on stock market investing and I am glad that despite being a newbie, I have managed to be still on the positive side by just reading through and making decisions based on the available information that you made available to me! I hope to learn more. Thank you! I am using your tools to learn more and not just reading the recommended signals. Please keep up the good work. Coz you are really doing a great job po. More power po! See ALL the stock information, analyses, and reports. Upgrade to Premium Access now! SIGN UP TO SEE ALL REPORTS!